Planning your road trips is about to get a little easier, thanks to a new online route planner from TomTom. The TomTom Route Planner will be the first online navigation aid to include live traffic information, via TomTom's HD Traffic system, as well as 500 billion historic speed measurements of roads across the world, through IQ Routes. TomTom says this should give much more accurate time estimates for journeys than the current online planners offered by the AA, RAC and Google Maps. In addition, changes to road maps uploaded by TomTom users using the Map Share system will be uploaded every day, so you can be fairly confident that your route isn't going to include an unexpected detour. 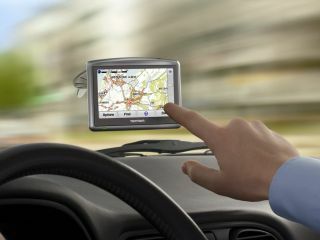 TomTom Route Planner will be available for everyone to use for free, regardless of whether or not they have a TomTom GPS unit. You can try to squeeze into the closed beta test of the TomTom Route Planner at http://routes.tomtom.com, which is still accepting users (you'll need a free TomTom account), or wait until it rolls out "gradually" to users worldwide. Having said that, the dynamic HD Traffic system is currently only available in the Netherlands, France, Germany, Switzerland and the UK. Other countries have to make do with TMC data.